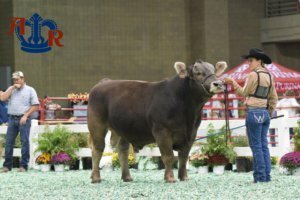 On the first Saturday of the 2016 American Royal Livestock Show, Hale Arena welcomed Judge Curtis Doubet of Colorado. 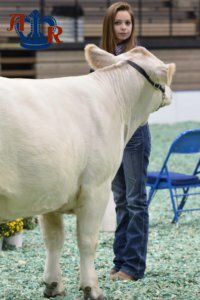 Doubet sorted the Braunvieh Show selecting Star Ranch of Texas as the Braunvieh Grand Champion Bull. David Hall of Texas, grabbed the Braunvieh Reserve Grand Champion Bull banner. The Grand Champion Braunvieh Female title went to Outlaw Cattle of Missouri and the Reserve Grand Champion Braunvieh Female was awarded to Jason Pfeifer of Kansas.